Written by Ashvini Sharma, Principal Program Manager Lead, Microsoft Corp.
SQL Server 2008 R2 empowers business users to create and share rich, compelling BI solutions through familiar tools such as Excel 2010 and SharePoint 2010. While we’ve mentioned PowerPivot in the past, this post describes the overarching themes. The goal of Business Intelligence is to empower users at all levels of an organization to make better, more relevant decisions. However, BI projects frequently require professional expertise, take significant time to deliver results, demand use of specialized tools, restrict how users work with their data, and can be prohibitively expensive. As such, there is a large gap between the benefits businesses derive from BI today and the potential impact it could have. Self Service BI provides business users sophisticated BI capabilities by embracing how they work today: using common concepts and flexible approaches, in familiar tools, without large dependence on IT. PowerPivot for Excel 2010, for example, allows enables Excel power users to easily integrate data from multiple sources, interactively model, and analyze large amount of data from within Excel. Besides enabling quick sharing of these solutions with others within the organization, PowerPivot for SharePoint 2010 allows business users to schedule data refreshes so that up to date data is available without manual intervention, leveraging resources of the SharePoint farm. In addition, any client application that can communicate with Analysis Services can also consume PowerPivot data using PowerPivot for SharePoint 2010, enabling organizations to leverage their investments in Microsoft BI. A dashboard integrated with the SharePoint Central Administration provides overview of hardware utilization and metrics such as query performance. In addition, PowerPivot for SharePoint 2010 automatically loads and unloads PowerPivot databases on the SharePoint farm, optimizing resource utilization based on activity without active IT intervention. PowerPivot for SharePoint 2010 tracks user activity and provides several prebuilt views over this data. These include which user is accessing what data, what data sources are used by which workbooks, what are the top workbooks based on data volume, number of users or activity, etc. In addition, the usage tracking data is available for building custom reports as well. IT organizations get unprecedented visibility into adoption of various applications and data sources, helping them optimize investment decisions based on real usage. With SQL Server 2008 R2 and SharePoint 2010, business users can use any SQL Server Reporting Services report or SharePoint List as a refreshable data source in their PowerPivot application. IT organizations can quickly disseminate data in a way that is readily consumable by business users, while automatically deriving usage monitoring. As you can see, SQL Server 2008 R2 provides significant capabilities for managing a Self Service BI environment. Together, these services enable IT to provide tangible and substantial benefits to business groups within an organization while lowering overall costs. 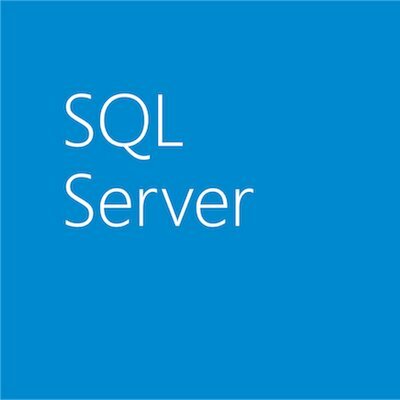 To find out more about SQL Server 2008 R2 availability, see our previous post here.